More people are embracing a vegan lifestyle and with plenty of ‘alternative food choices’ out there these days, it’s not as hard as you’d expect. Now, you can actually get a ‘bleeding’ vegan burger, designed as an alternative to the popular meaty beef burger. The burger is due to arrive in the UK next month and is being brought to vegetarian and vegan restaurant Mildreds by a company called Moving Mountains. 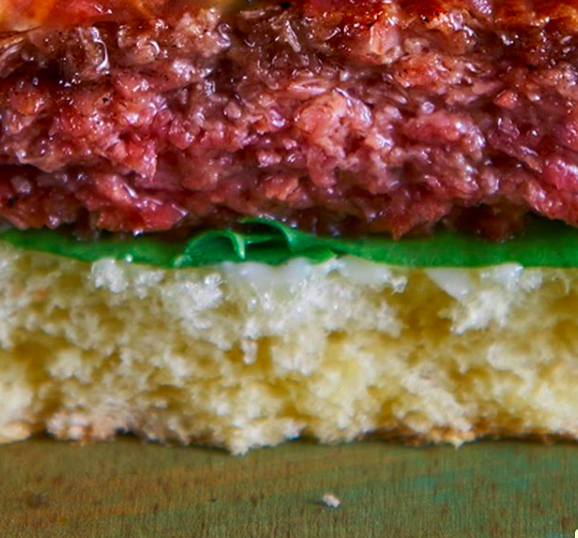 The ‘B12 burger’, developed by Moving Mountains, uses an alternative to animal meat, instead, it’s produced using just plant-based ingredients. We can’t wait to launch the Moving Mountains B12 burger exclusively at London institution, Mildreds and let people bite into the future with our plant-based meat. This launch not only marks a huge leap in innovation for humanity, by allowing consumers to bite into a future that is better for their health and the health of our planet, but also addresses a growing new consumer trend for flexitarian dining. Now Brits can have their meat and eat it without the environmental impact of the animal agriculture industry. Without any compromise on taste, the Moving Mountains B12 burger provides a viable alternative for flexitarians, vegans, vegetarians and meat-eaters alike. The burger has been made using a combination of peas, soy proteins, herbs, potatoes, wheat, coconut oil, beetroot juice – to make the burger appear to ‘bleed’ – as well as vitamin B12 and an oyster mushroom base. At Mildreds, the B12 burger will come served in a toasted bun, garnished with lettuce, onion, tomatoes, Mildreds’ ‘signature basil mayonnaise’, tomato relish and a side dish of your choice. It’ll be available to order at Mildreds in Dalston, east London, from February 24 between 12 and 2pm, costing £10. Plenty of people started off 2018 with ‘Veganuary’ – which sees individuals trying out a month of eating vegan throughout January. There are loads of reasons why people opt to ‘go vegan’, from caring about animals, to wanting to help the environment, as well as health reasons. A major study found people who follow a vegan diet are more likely to out-live those who eat meat and dairy products. The vegan diet steers clear of meat, seafood and dairy – as well foods produced using animals, such as honey, some wine, beer and cider, filtered using animal products. The study, published in the JAMA Internal Medicine Journal was carried out by scientists at the Massachusetts General Hospital. Scientists found every three per cent increase in calories from plant protein, was found to reduce risk of death by 10 per cent and the figure rises to 12 per cent for risk of dying from heart disease. mediumCast #3 with @HumanTimothy & @BenjOnEarth is now available to watch on YouTube. By increasing the share of animal protein in a person’s diet by 10 per cent, it led to a two per cent higher risk of death from all causes – increasing to an eight per cent higher chance of dying from heart disease. Might give it a go.